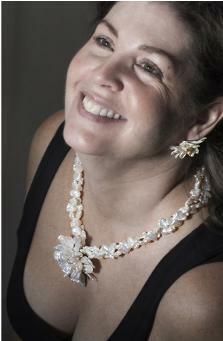 Let these unique pearl jewelry items help create your signature look. 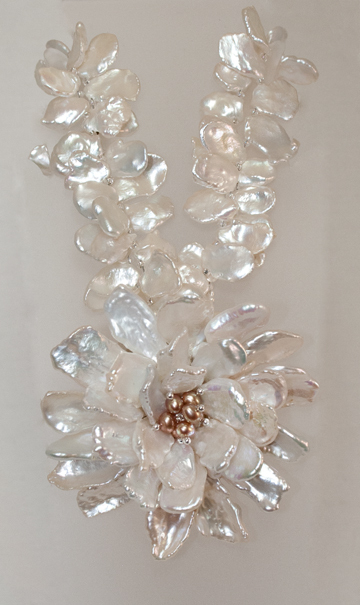 These pearl enhancers will open and close so that they can be worn on a necklace, plus the magnet allows them to be worn as a lapel pin. 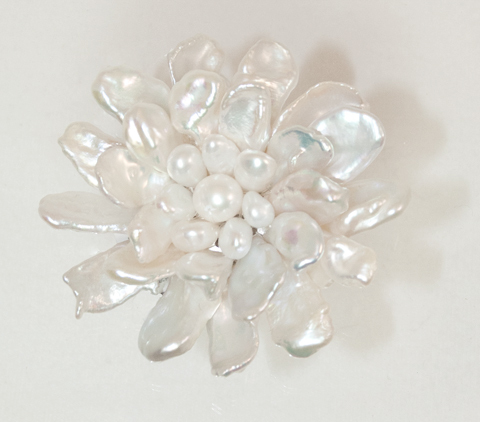 This Keishi Pearl Flower Enhancer is approx 2 3/4 inch in diameter. 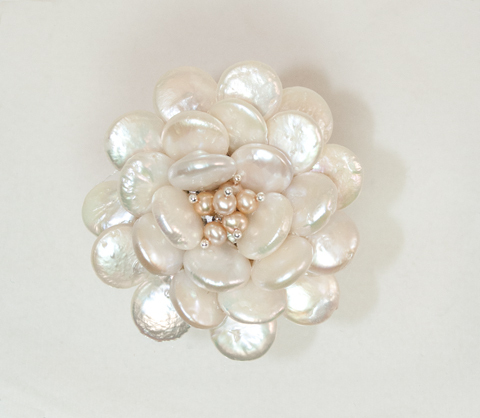 This Keishi Pearl Flower Enhancer is appx 2 1/8 inch in diameter. 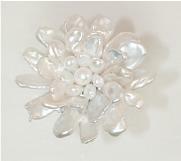 This Coin Pearl Flower Enhancer is appx 2 1/4 inches in diameter. 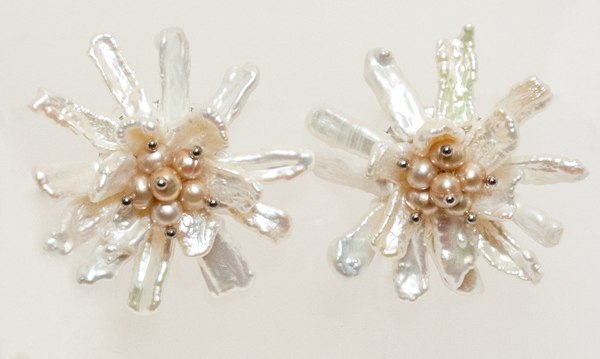 These Keishi Pearl Flower Stud Earrings feature a center of round champagne pearls. Each earring is appx 1 1/5 inches in diameter. 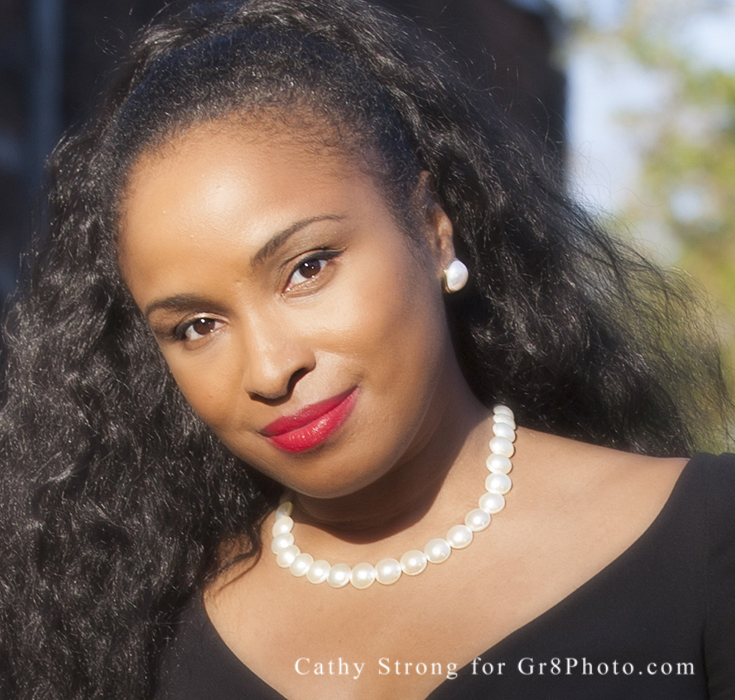 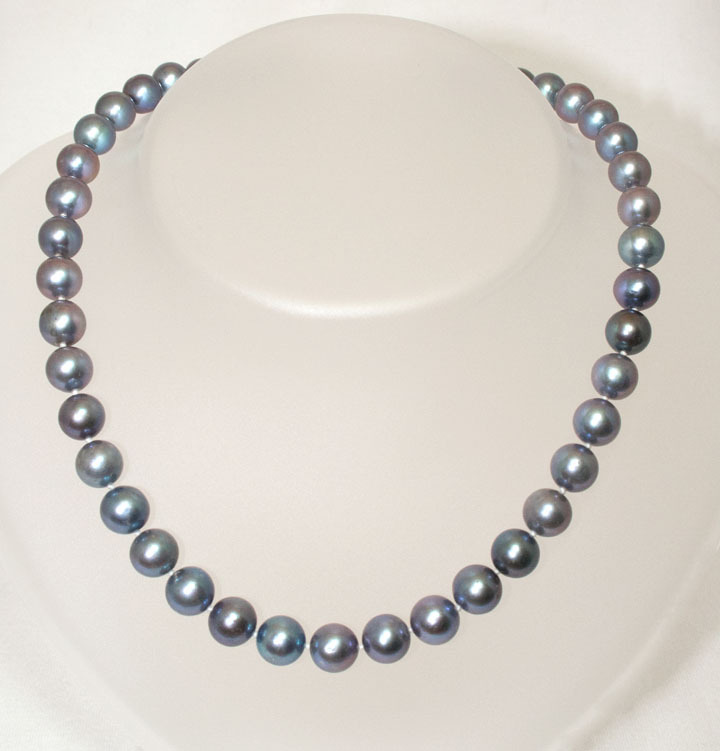 These round gray Freshwater Pearls are 18 inches in length. 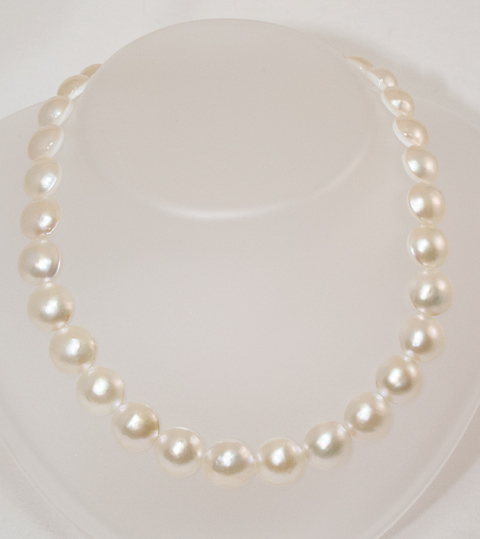 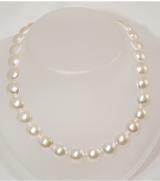 This White Mabe graduated Necklace is 18 inches and the pearls vary from 11 to 14 mm. This 18 inch Necklace features large 10.5 to 11 mm Round Freshwater Pearls with a Non-tarnish fancy clasp. 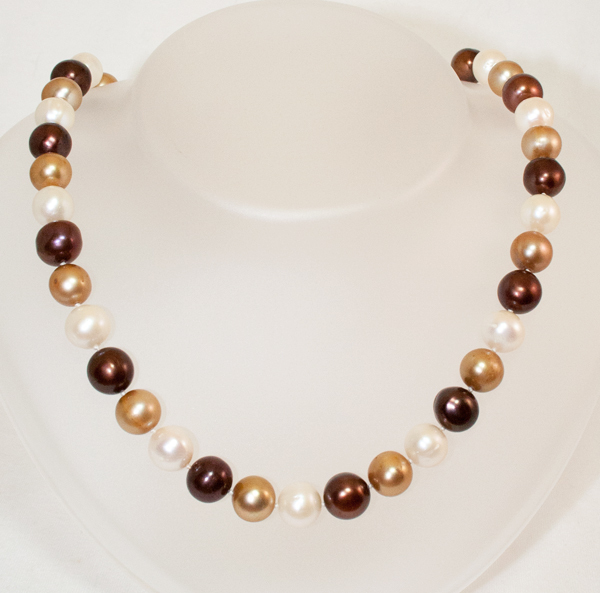 This Necklace is 20 inches in length and features Chocolate, Champagne, and White 11 mm Freshwater Pearls with a fancy Gold-filled clasp. 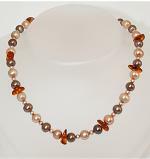 This 19 inch Necklace has a variation of 4 Champagne colors. 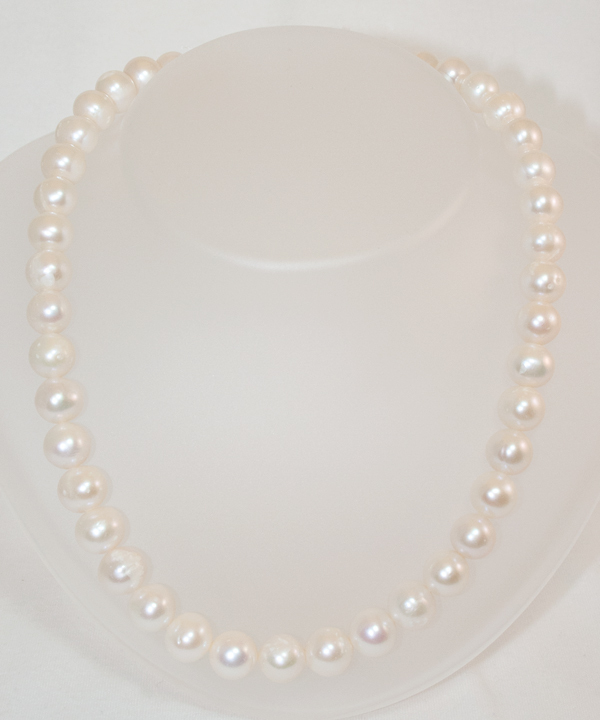 The shell pearls are 11.5 x 15 mm and features a Silver Hook clasp. This 20 inch Necklace combines 8.5 mm Chocolate and Champagne Pearls with Amber chips. 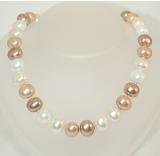 The Clasp is Gold-filled.